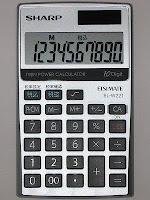 Is the Cabinet Office mathematically illiterate? Too many civil servants, politicians and celebrities are receiving honours, a report by a group of MPs has said. "We believe that no-one should be honoured for simply 'doing the day job', no matter what that job is," the committee said. 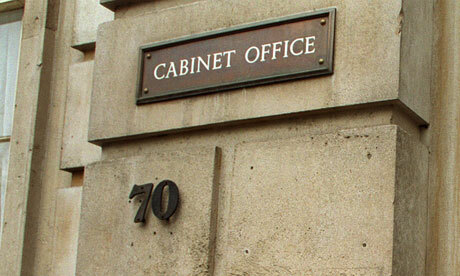 The Cabinet Office denied honours were dominated by politicians and celebrities, with 72% of the awards in the last honours list going to people who were actively involved in charitable or voluntary work. Wow! 72%! That's almost three quarters! Fantastic! So I guess we should all just shut up about it. Oh, but hang on a minute. The Cabinet Office seems to have made a fundamental mistake here. I don't have the exact figures but I am sure if we were to get together a list of the top civil servants, politicians and celebrities who are the ones in the frame for those 28% of remaining honours each year the total would not come to more than about 20,000. It can't really. There are only 650 MPs and about 800 Lords. Then there are senior members of local government and quangos. On top of that we have senior civil servants, again surely numbering in the hundreds or low thousands at a maximum. The celebrities are also going to be limited to the top or "most famous" in their field. If anything 20,000 is probably being generous as the pool from which those to be honoured in these fields can be plucked. Now contrast that with the pool of "ordinary" people who do things like volunteering in their local community, who do things for charities and who go the extra mile in their jobs as teachers, nurses and all sorts of other vital services. Again it's hard to come up with an exact figure but it must surely be well over a million. Local communities have lots of people who do all sorts of things that go unrewarded and it's hardly a stretch to say that 1/60 people across the country should be eligible for some sort of recognition like this. So let's say 1,000,000 to be conservative. Now back to that 72% figure. The most recent honours list awarded them to roughly 800 people in the UK. So roughly 220 went to "The Great and the Good" and about 580 went to everyone else. Or to put it another way, if you are one of the 20,000 then you had a roughly 1% chance of getting an award. And if you are one of everyone else then you had a roughly 0.05% chance of getting one. So you are around 20 times more likely to get an honour if you are a politician, senior civil servant or celebrity than if you are someone who has devoted lots of time to going the extra mile in your local community. That the Cabinet Office would even try to make this argument suggests that either they are mathematically illiterate or institutionally incapable of recognising the massive bias in their own systems. 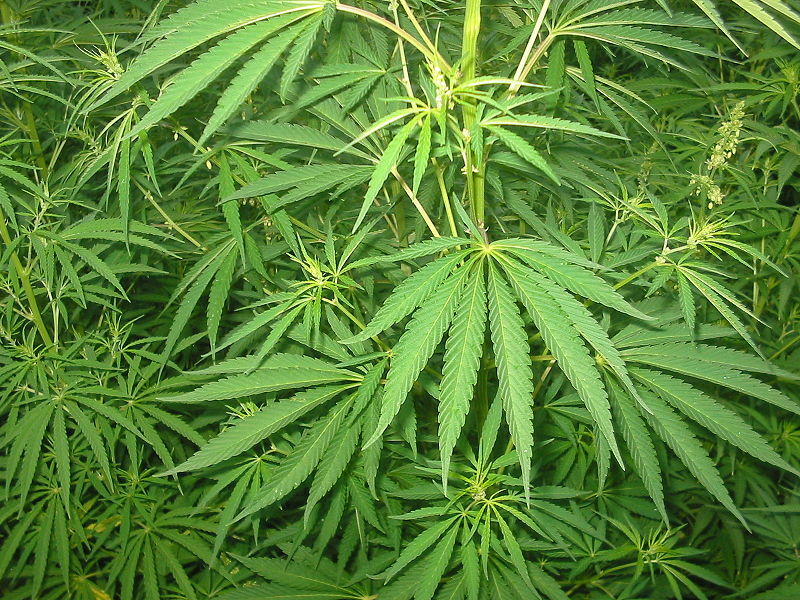 There are reports today of the results of a long term study conducted in New Zealand which show a link between heavy use of cannabis before the age of 18 and a concomitant reduction in IQ levels. This is indeed worrying and it is a good thing that such a study has been conducted. I have not seen much political reaction to this yet but I am willing to bet a sizable amount of money that the bulk of it from the mainstream parties will be in the vein of "This is why cannabis needs to be kept illegal" and that this somehow "proves" that the current laws in this area are correct. That is the wrong conclusion to draw from this research. A problem has been identified. That young people who use a certain drug heavily before the age of 18 are at risk of damaging their brain. It would appear that once past that age that risk is much less severe, if there at all (the main problem seems to be with the developing brain). So what we should be trying to achieve if anything is a reduction in the number of young people taking the drug. The current legal regime does not do this. It is very easy in pretty much any area of the country to obtain cannabis, for people of any age including teenagers. Those who supply it are not interested in checking the age of the person consuming it. If we follow the evidence here, there is little reason to stop adults from taking cannabis but a big incentive to try and stop children. So if cannabis was legalised, regulated and sold in a way similar to alcohol (with tough penalties for supplying to minors) with a simultaneous widespread public education campaign showing why it is dangerous for children to take it surely this would be more effective than our current system? It would make it harder for children to obtain the drug and for once, the public education from the government would actually be based on evidence. Over time this would improve the credibility of these laws rather than the blanket "All drugs are equally bad, Mkaaay" message at the moment which most people and especially children simply do not believe. The current laws have very little deterrent effect on young people taking cannabis. How can it possibly help somebody who may have done something that will have damaged their brain and lowered their IQ to give them a criminal record? Surely all that will do is blight their life chances even further? We need to be much smarter in our approach to this problem. Sadly though I fully expect this more nuanced approach to be ignored in favour of more of the same. In fact I fear an even stronger "crackdown" from this in a misguided attempt to try and discourage children from taking cannabis. Why should I listen to Katie Ghose? I've never met Katie Ghose. I'm sure she's a very nice person. But why am I still receiving e-mails from her under the auspices of the Electoral Reform Society as if last year's Yes2AV campaign never happened, and wasn't a disaster? I've kept quiet(ish) about this since last May apart from a brief rant shortly afterwards and I guess I have been hoping that even if there was not going to be a public accounting for what the campaign did wrong, at least behind the scenes there might have been some? But it's been 15 months now and Ms Ghose who was the head of the "Yes" campaign is still in place as head of the ERS. I don't know a great deal about the internal machinations of that organisation and the associated groups that formed the "Yes" camp but they managed to turn a lead in the public polls for "Yes" in the months running up to the plebiscite into a humiliating 32% to 68% drubbing. Why is nobody being held accountable for this? Yes, I know the "No" campaign was sneaky and evile and all the rest of it but there was lots "Yes" did wrong. LOTS. And if the person who was appointed head of the campaign is simply allowed to carry on as if nothing happened in her position as head of the main organisation campaigning for electoral reform in this country then it speaks volumes about the cliquey nature of the cohort of people in charge. In fact it is starting to make me wonder how rigorous the process of deciding who was best to head up the "Yes" campaign was in the first place. It is starting to smell quite a bit of Buggin's Turn. I'm not saying everyone associated with the leadership of "Yes" should be summarily dismissed. But please, can we have some sort of accountability for what went wrong? At the very least an acknowledgement and an apology to all of those like me who beavered away at street and grassroots level trying to persuade others to vote Yes. We were badly let down. Otherwise I will find it very hard to take any campaigning material I receive from this organisation in the future. 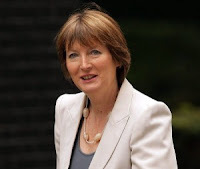 Harriet Harman has been filling column inches recently with a mea culpa regarding the 2005 Gambling Act, claiming that Labour made a mistake introducing this bill and that they should reverse the measures that have led to a growth in problem gambling, particularly in poorer areas. Good for her! She's decided that something her government did was wrong and that action is needed to address the problems caused. If we had known then what we know now, we wouldn't have allowed this, because it's not just ruining the high street, it's ruining people's lives. I got the most heartrending letters and emails and calls that I've ever had in 30 years of being an MP, just saying 'Please do something about this. It's ruined my life, it's ruined my family, it's really dangerous and the problem is it's getting worse and that's why we need the law to be changed so that something can be done about it'. This made me pause though as my political memory banks started whirring into action. I remember the political arguments about this bill at the time and I was sure that plenty of politicians did flag up the potential problems with the bill at the time of the debates before it became an act. It is clear that gambling does harm. Even the Minister himself, in his evidence to the Joint Committee, admitted that the increased gambling which would follow from the Bill could lead to more problems and more problem gamblers. The amount of gambling is related, of course, to the number of people who suffer in that way. If gambling was not harmful at all, there would be no need for any regulation. The fact that there is regulation means that there is knowledge that gambling is harmful. 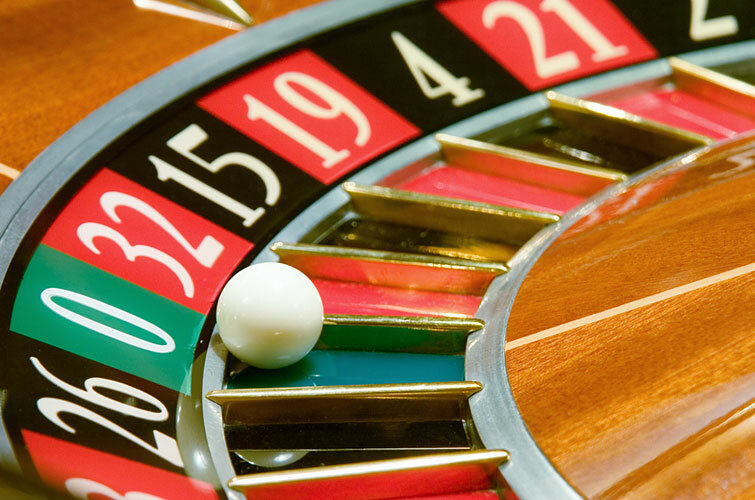 "Almost all the evidence we have received points to the fact that this legislation would increase the number of people in the United Kingdom with a gambling problem". Moving from the high-level casinos to the more humble slot machines, the director of the Rhode Island gambling treatment programme, Mr Bob Breen, said only last week that slot players are more likely to become addicted—and faster. They say, for instance, "It's only a nickel. How much can I blow?". He said that within a year they have lost their investments, they have lost their retirement, they are getting divorced and they are stealing from their employer. The extended opportunities of the Gambling Bill could have a totally detrimental effect on the lives of hundreds of thousands of people. When the Bill states that it will safeguard children from excessive gambling, how are we to safeguard the children of the families of gamblers? They will suffer deprivation, and all because of the Bill. In other words exactly the sort of problems that Ms Harman is now saying "we wouldn't have done this if we had known" were predicted by many different people with evidence from other countries to back them up. There is another similar intervention within the same debate from Lord Phillips of Sudbury here too amongst many others. So perhaps as well as campaigning for gambling law to be changed, Ms Harman should also campaign for something else that is sorely needed in our country. For governments to actually listen to their opponents during debate, reflect upon the evidence and agree much more often to pilot schemes to test their ideas. I would take her much more seriously on this if I had any sense that genuine lessons about how poor Labour in government were at legislating based on actual evidence were really being learned as a result. Why are Labour opposing what they did in office? I know politics tends to be played in a certain way and that Her Majesty's Loyal Opposition are there to oppose. It's there in the title. But it is remarkable just how many times Labour in opposition are now against almost exactly what they did when they themselves were in office. In some cases not just against them, but viscerally against them suggesting all manner of nefarious motives on the part of the EVIL CONDEMS for even considering them. There's a good example today. It has been reported that the government is encouraging the NHS to use its expertise globally in order to make a profit from international markets for re-investment domestically. Sounds perfectly sensible to me to explore such opportunities, especially with a brand that is as strong globally as our National Health Service is. “A key part of responding to the economic challenge that the NHS faces will be realising the full potential of innovation, not only making effective use of our knowledge and skills at home, but also making money abroad that can be reinvested back into the NHS." The Labour attack is based around this being the "wrong time" for such a change and that the "priority" should be sorting out the "mess" in the NHS. But If Burnham 2 years ago, in the midst of an economic crisis thought then was the right time for this and that it could form a "key part" of the NHS's economic challenge then I cannot for the life of me work out why now is the wrong time. Surely Labour think the NHS has got worse in the last 2 years so anything that can bring more money in for reinvestment (as they clearly thought this would when in office) should be a good thing? This apparent contradiction has been reported widely today and I have seen a few Labour activists make an attempt to defend the new position usually along the lines of the "approach" that the current government is taking being wrong. Frankly this is a load of rubbish. It is becoming ever more clear that Labour are going to oppose anything and everything that they think they can get political capital out of regardless of how hypocritical they are being. The theory seems to be that if they shout loudly enough against all these policies, the fact they used to be for them will be forgotten. They should be held to account for this, otherwise how are we going to know what we'll get if they end up back in government again? "Labour lead narrows as Tories enjoy Olympics bounce"
"Boris uses Olympic bounce to taunt government"
Bounce, bounce, bounce, bounce, bounce. Talking about whether or not a politician or a party has had one as a result of the Olympics is the epitome of silly season nonsense. Firstly, any "bounce" is bound to be transitory. I'd be amazed if any blips in the polls were sustained beyond the next few weeks. And the next general election isn't until 2015. Even the Corby by-election and the PCC elections are not for another 3 months by which time any poltical Olympic feel-good factor will have petered well out. More importantly, staging the Olympics was a massive effort from hundreds of thousands of people across all walks of life, politicians, engineers, architects, security services, entertainment, sports people and of course the tens of thousands of volunteers who did such a wonderful job stewarding the event. The idea that all of this effort can be distilled down into a political advantage for Boris or Dave is utterly risible. In terms of high profile politicians I would suggest Tony Blair (whose eleventh hour intensive lobbying of the IOC in July 2005 is likely to be the thing that tipped the balance in my view), Tessa Jowell, Seb Coe and even Gordon Brown (who as a powerful Chancellor enabled it to happen) should be in line before Cameron anyway. And as for Boris, Ken Livingstone should get at least as much credit for similar reasons to Blair; his motives were around regeneration but his commitment to this was admirable. Most of those politicians you will note are Labour, not Conservative. All in all, the fact that the narrative is now shifting to whether the PM and the Mayor can get political brownie points from any of this shows how shallow our discourse has become. The Olympics was a fantastic spectacle and a great example of what this country is and can do. Any kudos should be for the UK as a whole, not any one individual. The Lib Dems are a very odd sort of "Power-hungry"
I keep seeing the phrase "power-hungry" used in conjunction with the Lib Dems. Admittedly it is often amongst the frothing anti-coalition comments on a "Comment is Free" or "New Statesman" article but there is a perception that is gaining momentum that the Lib Dems have done and pretty much will do anything to get and retain power. The thing is, that doesn't really make any sense, at least from a Westminster perspective. a) Use your contacts through Mr Brittan to get yourself selected as a Tory candidate? b) Plough your own furrow and try to get selected for a party that has never held power in Westminster in your entire lifetime? Surely, someone who was obsessed with getting and retaining executive power would have done a)? But we know that Nick Clegg did b). What on Earth was he thinking, running for a party that since the end of WWII had had at most a few dozen MPs? Under the First Past the Post system that party was unlikely to be in a position to form a government in the following 20 or so years. Or what if you were Vince Cable who actually did used to be a member of the Labour Party but defected to the SDP in 1982 and then stuck with that party as it became subsumed into the Liberal Democrats even when its poll ratings were in a statistical tie with zero, and his former party ended up in government for 13 years from 1997. Surely an unprincipled, power-hungry politician would have found an excuse to defect back to them? I'm sure a nice juicy cabinet position could have been found for him. The same applies to Chris Huhne, Ed Davey, David Laws and countless other Lib Dem MPs and ministers. They all could have chosen a much easier path to power than joining the third party and then waiting for the electoral dice to fall the way of a coalition (which judging by historical standards is a very rare occurrence indeed). Instead they all stuck with the Lib Dems through thick and thin, opposition, ridicule and taunts of being irrelevant. There must be another explanation then? Maybe, just maybe these politicians believed enough in the cause of their party to want to stick with it and even if only in opposition try to affect the national debate using the small platform it afforded? And then maybe, just maybe when the opportunity to be part of a government came along those same politicians weighed up the situation and decided in the national interest that it was best to form a stable coalition with the largest party in parliament largely for the sake of economic stability*? Whether you believe that or not though, the idea that the Lib Dems are completely unprincipled and power addicted does not stand up to even cursory scrutiny. If the MPs that make up the party really were like that, they would never have been in the party in the first place. *We will never know the counterfactual of what would have happened if they had declined but I bet it would not have been pretty - the markets would likely have punished our country for having delivered a hung parliament that then could not form a majority government programme. This post was first published on Dale & Co.
Will the public ever accept coalitions? Over the last couple of years I have had a few comments from my non-political friends (yes I have some!) along the lines of the Lib Dems cannot be trusted. When people who are usually not really that into politics say things like that it makes my ears prick up because it demonstrates that something about the subject has "cut through". Unfortunately in this case it is something pretty negative about the party of which I am a member. It should probably not be surprising that that message has resounded in this way, after all much of the media and the entirety of the Labour Party (and mischievous elements of the Tory Party) have been saying as much ever since the Lib Dems entered government. And of course there is a kernel of truth in it. The party said one thing before the general election and then in a number of key areas did something different after the election. But the third party was never going to be able to do anything except that if they were to go into government. They were never going to get a majority and therefore they were always going to have to compromise in all sorts of areas. That the Lib Dems have "broken their promises" and "Clegg cannot be trusted" has become as much of the background mood music of the body politic of this country as "Blair lied about Iraq" or "Thatcher did not care much about society" were during their respective eras. As much as I might want to bang on on here about how the party had to compromise, I might as well be micturating into a tornado. But this fact really does raise a much wider issue. Will the public ever accept coalitions? Because it is far from clear that what they are annoyed about is that Clegg et al made "the wrong compromises". It actually seems like the fact that any compromises were made at all is what has damaged the party (and that would likely have been true no matter what the compromises and who the political partner was). This would apply to any parties forming a coalition in the future. Perhaps we have just had single party government in this country for so long that, despite the talk before the election about the public wanting politicians to "get along" the truth is that they are so used to one entire programme being enacted that when the electoral arithmetic requires parties to work together the damage caused, especially to the junior partner is just simply too great. I wish I was wrong about this but I fear I am right. Maybe the last two years shows that the UK is simply not interested in parties compromising? And if the polls are correct we might well end up with at least another decade of single party government again after 2015. I suspect the electorate might prefer to be back on the surer ground such a government would afford. There has been a lot of noise in the last few days about how terrible it is that Bob Ashford has been barred from standing as a Labour candidate to become a Police and Crime Commissioner in Avon and Somerset due to a crime he was convicted of when he was 13 years old 46 years ago. This is because of a rule that was included in the bill that created the positions whereby a candidate cannot stand if they have ever been convicted of an offence that could have resulted in them being sent to prison (even if they weren't). There are also others who have stood down as a result of this rule include the decorated Falklands war hero Simon Weston due to an offence he was convicted for when he was also a child. As Mark Pack has pointed out, this is not an "unintended consequence" of the legislation but very much intended as the parliamentary record shows. This very point (candidates being barred due to offences committed when they were children) was specifically debated and there appeared to be broad parliamentary consensus that this was "the right thing to do". As an aside, I find it intensely depressing that such illiberal laws can be passed through our parliament without any real understanding of how ridiculous the consequences of said laws will actually be in practice from those who are supposed to be legislative experts. I really hope this episode will give the unthinking authoritarians (in all parties) pause for thought the next time they are debating legislation. Mark Ferguson has done a sterling job on LabourList in recent days highlighting the absurdity of this rule and calling for an urgent change. The Home Office has already indicated that nothing can be done until after the first set of elections in November. On that LabourList posting linked to above there is an interesting debate in the comments. Some commenters agree the rule is wrong but there are others who point out that it is going to be difficult to define precisely where the bar should be. They suggest that ruling on what would be an acceptable and unacceptable criminal conviction will be tricky. They are essentially saying that there will always be edge cases that seem to fall on the wrong side (either way) wherever the line is drawn. I agree it would be tricky. But here is a radical idea. The entire point of having these Police and Crime Commissioners was in order to allow voters to choose them. So why not allow the electorate to decide? If they consider a youthful misdemeanor by Mr Ashford should prevent him from becoming a PCC then they won't vote for him. You can certainly bet your bottom dollar that if Mr Ashford's opponents think it will count against him the details of it will be plastered all over leaflets. The same would apply for any of the other candidates who have withdrawn (or may do so in the future). Perhaps instead though what we will find is that people who have had dealings with the law from the other side as youngsters but have learned their lesson and gone on to be highly productive and trustworthy members of society might just have something very useful to contribute to the role. "Lords reform and boundaries are two, separate parliamentary bills but they are both part of a package of overall political reform. Delivering one but not the other would create an imbalance – not just in the Coalition Agreement, but also in our political system. Lords reform leads to a smaller, more legitimate House of Lords. Boundary changes lead to a smaller House of Commons, by cutting the number of MPs. If you cut the number of MPs without enhancing the legitimacy and effectiveness of the Lords all you have done is weaken parliament as a whole, strengthen the executive and its overmighty government that wins." Both of these statements were made by Nick Clegg in the last few months. The first one was at a Select Committee hearing in April where he also specifically said the words "There is no formal link" between Lords reform and the boundary changes. I highlight this, not to embarrass the leader of my party (there will be plenty of others in Labour and the Conservatives queueing up to do that) but to highlight how our approach to collective responsibility within the government is now screwing us over. i have been arguing for a long time that in public our ministers should have been making it clear that there are things we are doing that we would not do were we governing alone. I think the electorate are mature enough to accept this. But instead our approach seems to be to essentially "own" the entire government programme and to argue in favour of every element of it. This then leads to a situation with for example the boundary changes where Clegg can be painted as "having been for it, before he was against it" which is very damaging in politics. If the approach had been to consistently explain that we were supporting the boundary changes as part of an overall package of constitutional change and all of it needed to go through (which is a perfectly reasonable position) it wouldn't seem like we were going back on anything now. To be fair to Clegg there are examples including in the evidence to that committee where he did try to make this link but there are too many other examples where he has said things like "There is no link". The position has been too muddled. This is not the only area where this has happened. For example Clegg has been quoted in the past as saying that Andrew Lansley is the "right man for the job" of Health Secretary. That's strange because before the election surely he though Norman Lamb was the right man, otherwise why was he Lib Dem spokesperson for health? I wonder why he felt the need to say this? He could have worded it along the lines of Lansley getting on with the job he was appointed by the PM to do or similar without endorsing him above all other possible ministers. In the inevitable post-mortems that will come whenever this coalition finally ends I hope that our approach to collective responsibility comes under a sharp spotlight and we learn some important lessons. We are a separate party with a distinct identity. We need to find a way to make this clear, even when we are sharing power with another party. What if a Lib Dem minister votes for the boundary changes? An interesting hypothetical question thrown up as a consequence of a piece from Isabel Hardman on the Spectator blog which mentions a "senior Lib Dem MP" who is quoted as saying that the Lib Dems should support the boundary changes. Now I don't know for sure if this MP is in the government and it is not clear that even if they are they will not fall into line with their party but what if they decided to vote against the Lib Dem party line on this? Would they technically be in breach of anything? With the vast majority of government ministers (Conservatives) likely voting for the changes, wouldn't they just be another minister voting with most of their colleagues? As we're in unchartered territory I'm not sure what the answer would be. Other than Nick Clegg would doubtless be very pissed off! Does the Lords reform debacle make a coupon election more likely? My first thought was "highly unlikely" but the more I am mulling it over the more I am wondering if the inevitable dynamics that will result from the latest coalition debacle could move things in that direction. The first thing to note is that without the boundary changes Labour are now overwhelmingly favourite to win the next election outright, probably with a big majority. I know 3 years is a long time in politics but the idea that the Conservatives (and Lib Dems) are going to recover in a major way from their current lows with the economy in such a mess and austerity on the menu for several more years to come is somewhat fanciful. The second point is that if Labour win in a big way in 2015 then the other two major parties can likely kiss goodbye to any chance of office for another political generation. We saw after 1997 how much the large majority cushioned Labour against future election losses. It could be 2030 before the Blues or Yellows are seriously contending for power again. 1) How much do Cameron and Clegg want to retain power? If they are serious about keeping their hands on the reins after 2015 they are going to have to very seriously think outside the box. 2) Even if they wanted to, how well could they control their respective parties in the country to adhere to any deal? There is significant and growing animosity amongst the grassroots of the coalition partners and the idea that PPCs in potentially winnable seats may have to stand aside "for the greater good" is likely to be very hard to swallow. 3) How would such a deal be treated by the electorate? I can certainly imagine Labour making all sorts of hay with the idea that the coalition was trying to stitch up the election. 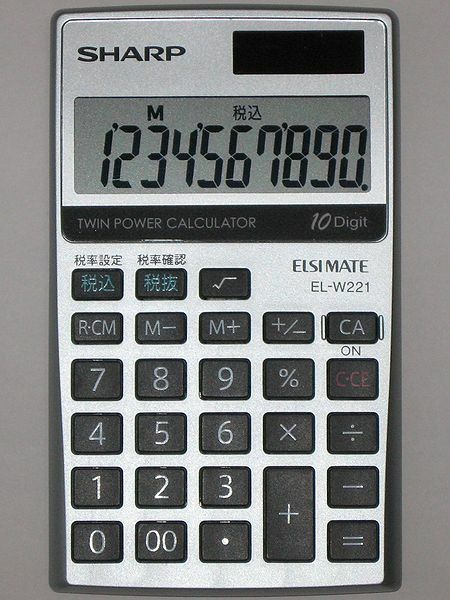 4) What would the long term calculations be? For the Tories there may be less downside. They would get the chance to retain power rather than face a potential decade or more in the wilderness. But history suggests that for the Lib Dems were they to go along with a plan like this they could be subsumed by the larger political partner. And even before that it could easily cause a split with "Independent Liberal Democrats" leaving the party to fight on their own terms. On balance I still think this probably won't happen but you never know. I've observed throughout my politically aware life that politicians will do almost anything to hold onto power. John Major clung on until the bitter end in 1997 and even announced a 6 week proroguement of parliament in order to just eke out another couple of weeks. Gordon Brown endured indignity after indignity to stay in a job that it would seem he didn't even really enjoy and even tried himself to form a coalition with a party whom he despised (and whose name he consistently got wrong!). I do not underestimate the allure of power. Especially for those who already have their hands on the tiller. One aspect of today's final confirmation that Lords reform is being dropped for this parliament that has not generated much comment is that just such a policy was part of the Conservative manifesto in 2010. Given this, it is surely quite strange that nearly 100 of the party's MPs were willing to vote against it? It seems clear also that if things had progressed further, more Tories would have lined up against the measure. And when you include ministers who were likely supporting the measures under sufferance it wouldn't at all surprise me if less than half of the Parliamentary Conservative Party in the Commons actually supported this bill. How has this come about? Surely a manifesto should reflect the view of the members of the party it purports to represent? In the case of the Conservatives though they have always been a fairly top-down party. The manifesto was written by senior people within the shadow cabinet and their advisers and then essentially presented as a fait accompli. If their MPs and PPCs didn't like parts of it, essentially it is tough luck. They could of course have refused to stand as a Conservative candidate if they felt strongly enough but given the FPTP system that is never very likely to happen as an "Independent Conservative" candidate would just split the vote and probably let one of their opponents in. Far better from the perspective of an aspiring Tory parliamentarian to stand anyway but then oppose once in the Commons from a position of representing the "real Tory" view within the country. The problem is it leaves everyone else wondering where on earth we stand with respect to future manifesto commitments. I hope that this episode makes the Conservative leadership think again about how their policy-making is formulated. It's all very well being clever-clever, trying to "triangulate" and appear to be "progressive". But if your MPs are not willing to vote for the measures then it just becomes an exercise in obfuscation and ultimately futility. Far better for everyone all round, including the voters to ensure that any future manifesto contains measures that are likely to achieve support within the body of MPs from their party that form the voting bloc within parliament? Then we will all know what we are likely to be getting, rather than commitments that are then viscerally opposed by the very people who stood for election on the platform formed by them. Now it is clear that Cameron is not going to be able to get enough of his backbenchers to support Lords reform there is lots of talk about how the quid pro quo for this will be the Lib Dems blocking the boundary changes. There is also talk about how the precise wording of the coalition agreement does not commit the Lib Dems to vote for the changes. Even though it is dressed up in the language of principle, the argument essentially goes "You didn't deliver the change we wanted so we won't deliver the change you want.". In some ways this is fair enough. The manner in which some Conservative MPs have parsed the coalition agreement to find a Clintonesque way of wriggling out of the spirit of the commitment to Lords reform has been low politicking at its worst. As a supporter of Lords reform (albeit one who could see a good argument for voluntarily delaying change ourselves) I would find some satisfaction in seeing the boundary changes voted down. There is a problem with this idea though. Cameron really did try to get Lords reform through. He imposed a 3 line whip on his party to vote for the bill and the timetable. It failed because too many of his non-payroll MPs were prepared to vote against it (which is why the timetable motion was withdrawn as it was clear the government would lose). If Clegg was to impose a 3 line whip on the vote for the boundary changes then straight away the Lib Dem payroll vote of 22 would have to support the changes (or resign from the government). I also suspect a number of backbench Lib Dems would either abstain or vote with the government. Some would doubtless rebel but it would not be enough to stop the changes*. So the only way the Lib Dems could be sure of defeating the boundary changes would be to actually ensure all of their MPs voted against them. And I cannot see a realistic way that this could happen without triggering a chain of events that would lead to the end of the coalition. It comes down to a matter of mathematics. The Conservative backbenchers can block legislation even if the government votes for it. The Lib Dems cannot do this. They don't have enough MPs. I know that Cameron is determined to get this change through. Clegg cannot block it without making his entire party vote against it. We will soon reach the first (and probably last) impasse of the coalition sooner than most people thought. *I am aware that a number of backbench Conservative MPs also do not want these changes to go through. It is possible for a scenario to play out where Clegg whips the Lib Dem payroll vote to vote for the changes but with a nod and a wink licenses his backbenchers to vote against leaving only a few Tory rebels required to torpedo the changes. The big problem with this though is not just that it would be blatantly obvious what had happened (which it would) but that I suspect Cameron has already war gamed this scenario. Now that the Lords reforms are dead, he has a big patronage carrot to offer any wavering MPs from his side. For this reason, I would suggest such a gambit on Clegg's part would fail. And I think he knows it. I'm not even talking about the fact that he has not been able to persuade his backbenchers to support a key plank of the coalition agreement, although that is pretty weak. I'm referring to how he has steadfastly refused to move George Osborne from the Treasury brief. It has demonstrated just how hidebound his political room for manoeuvre has become. I understand those who say Osborne is one of Cameron's oldest political friends. But Blair was old friends with Peter Mandelson and David Blunkett and he did what was necessary to remove them from their cabinet posts when the time came. And even John Major had the guts to remove Norman Lamont as Chancellor when it became clear he was a political liability in that role. Most observers agree that Osborne has performed poorly as Chancellor. His budget earlier this year was a political disaster. Worse, Cameron knew it would be (specifically regarding the reduction of the 50p rate - he didn't want to do it) but gave Osborne enough rope to hang himself with. Now that he has done so, instead of letting him swing he has cut the rope and is giving him his undeserved political support. Even worse still, other Prime Ministers just over 2 years into a parliament would likely have at least one more chance to remove an errant minister as reshuffles can be fairly frequent when one party is in power. But the nature of the current coalition makes it pretty unlikely there will be any more reshuffles before 2015. So this is the one chance that Cameron has to put someone politically and economically competent into No 11 (e.g. Philip Hammond) and he has flunked it. Prime Ministers need to have a shaft of steel running through them. No matter who were close allies on the way up, a politician that wishes to retain power needs to be unsentimental about friendship. That he feels unable to do anything about Osborne demonstrates how weak he has now become. When even John Major was able to do things you cannot it is surely time to think long and hard about your long term political strategy? Lib Dems should park Lords reform. For now. I am an enthusiastic supporter of electoral and constitutional reform in this country. I have been arguing for years that the First Past the Post system for the Commons is hopelessly out of date and unfair and that there is no place in our constitution for an unelected second chamber. I was delighted when the coalition agreement included action on the latter and heartened by Nick Clegg's various comments in the early days of this government that made it clear he was throwing his full weight as Deputy PM behind it. But that was then. Now we are in a pretty parlous position regarding potential reform. The massive rebellion by Tory MPs a couple of weeks ago aided by Labour on the timetable has led to a great deal of uncertainty about whether anything like the currently proposed reforms will be able to get through parliament. Putting aside the arguments for and against (they can be found across the internet not least in numerous posts and comments on this site) I think it is starting to look unlikely that we will be able to get the reforms we want through during our time in government. Unlike some I have seen sneering that it's Clegg's fault for coming up with "bad proposals", I don't think that is true at all. Every compromise that the Lib Dems made (keeping the Bishops, keeping 20% unelected, making the terms 15 years, not allowing re-election) were done to address specific concerns from one side or another. That those compromises are now being used to claim the bill is a "dog's breakfast" is simply a function of how difficult it is to change the status quo when there is such a diversity of views on what should be kept and reformed. There are noises off that indicate a set of watered down proposals might, just might get the nod from *some* of the Conservative rebels. Perhaps, if we're lucky we might, just might get a small sliver of elected peers alongside a load of appointees from mass membership organisations. Forgive me if I don't climb up onto my roof to sing hallelujah at this prospect. I think we are at the point where we should park this bill. I say this in the light of the shocking GDP figures for Q2. -0.7% shows we are definitively back in recession and this is now the worst economic situation since before the Second World War. In that context, a prolonged parliamentary battle to try and salvage some vestige of Lords reform would risk looking like political folly and would really not be worth the fight anyway. We need to focus very strongly on the economy and growth. Our ministers need to fight internally within the government and externally where possible to ensure that at the very least Plan A becomes Plan A+ if not a politically covert Plan B. I'm not suggesting that we should trade Lords reform off in exchange for this, indeed I am sure that would never fly. But we need to make our priorities crystal clear under the current economic circumstances. I usually despise the phrase "now is not the right time". For opponents of reform it is never the right time. However I am afraid I have come to the conclusion that right now, for probably the only time in my political memory that argument is correct. For fellow Lib Dems looking for a legacy of our time in government, if we can spend the last 30 or so months helping to ensure growth returns that will surely reflect very well on us. As for Lords reform, it will probably have to wait for a future coalition agreement. And next time we need to make sure it is worded very clearly to leave future partners no wriggle room. This post was first published on Lib Dem Voice.